REALTORS® whose license expires in 2020 or 2021 are required to complete ethics training at least 2 hours, 30 min. of instructional time before December 31, 2019. New REALTORs® must complete training when they first join. A new member who has completed the New Member Code of Ethics Orientation is not required to complete additional ethics training until the next two-year cycle. REALTORs® who complete the required ethics training within a two-year cycle at any local association are not required to take this training again at another association. REALTORs® may take courses to satisfy this ethics requirement through any association or outside training facility where the member can provide satisfactory documentation of completion. Here you will see two versions of the online training. 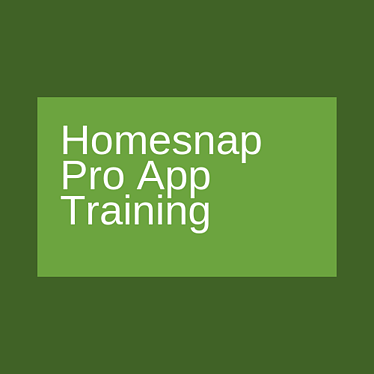 A FREE version and a Continuing Education (CE) version. The FREE version is sufficient to satisfy your requirement but if you would like to accrue credits towards your license renewal then the CE version would be the best for you. PSAR does not have access to your NAR login credentials. If you have already created an account with NAR and cannot access it please use the "Forgot Password" function to retrieve the password. You may find your NRDS ID by using NAR's "Find your NRDS ID" function. Register for training at a service center near you! The Residential Purchase Agreement (RPA) is the roadmap to a successful real estate transaction. 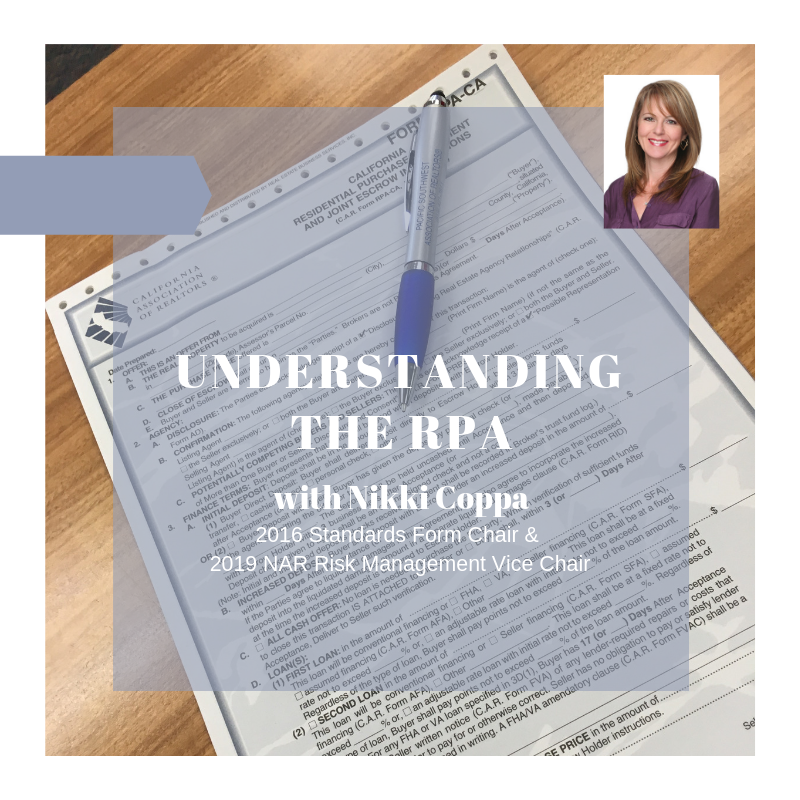 As market conditions and laws change, it is important to review how these changes impact guiding your client through the intricacies of the RPA. Get detailed guidance in interpreting the RPA to better serve and protect both yourself and YOUR CLIENTS. Don't believe us on how useful this course is? Take it from a PSAR Member and Past President, Sarah Heck, "It doesn't matter if you are new to the industry, or a seasoned agent...I guarantee you will learn something new when you attend Niki Coppa's forms class." Are you prepared to have the conversation with an investor that leads to a lucrative deal? And much more! In addition, you will earn 7 CEU credits and the opportunity to hear from Founder/Senior Instructor Michael Simpson. If you met a commercial investor today and would not know what to say, this course will teach you how to win their business! Professional Standards Training hosted by PSAR and NSDCAR. What will the participants gain? Effectively navigate the Mediation, Arbitration and Ethics Disciplinary Processes. Learn how the Association enforces the NAR code of ethics. 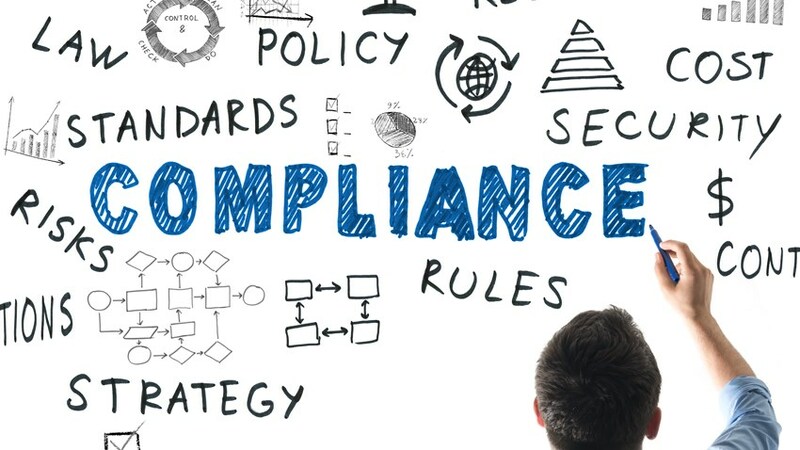 Discover what the Grievance Committee looks for when reviewing complaints. Understand procuring cause in a commission dispute. 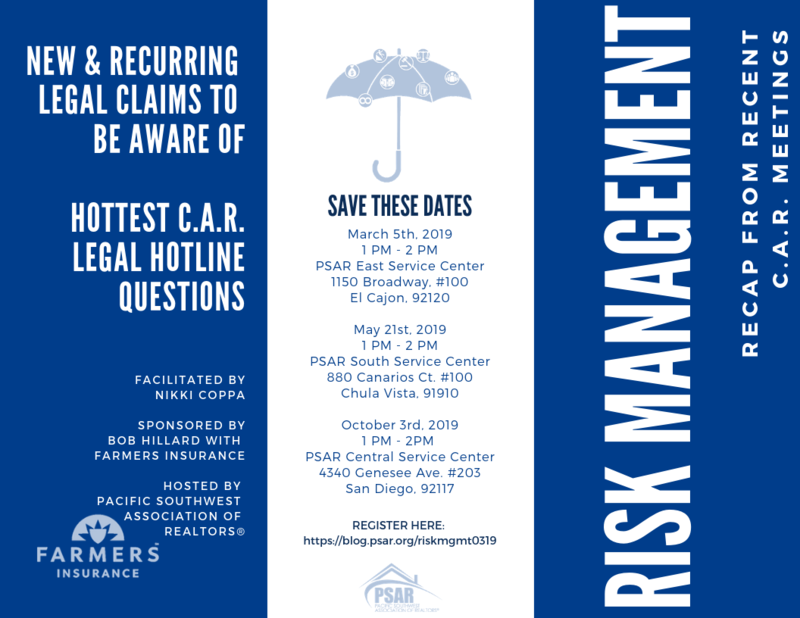 **Attendees of both days are eligible to join the PSAR/NSDCAR Professional Standards Committee. Hearing panels are selected from the Professional Standards Committee. PSAR new Board Members are required to attend both days. Returning Board Members are required to attend the Friday meeting every 2 years. PSAR New and Existing Grievance Committee members must attend the first day of training. New Professional Standards committee members must attend both days of training. Existing Professional Standards committee members must attend the Friday training every two years. Congratulations to members of the PSAR Governmental Affairs Committee. Their recent efforts were rewarded this past week with two major victories before the La Mesa City Council on Feb. 26 and the San Diego County Board of Supervisors on Feb. 27. PSAR is in favor of property owners who want to expand the use of their property by building granny flats on lots with existing homes as a way to address the region’s housing supply and affordability crisis. Granny flat units, typically smaller than standard homes, are second homes built on the same lot as an existing single-family house. Often, these secondary units are constructed by homeowners in backyards or above garages of single-family residences. They can be used for family members or rented out as a source of income for homeowners. Granny flats also represent perhaps the easiest and quickest way to provide additional affordable housing options to local residents. When it comes to housing that will help all of San Diego, PSAR is in favor of making the ADU regulations more streamlined so homeowners can cut through the thick red tape of processing the construction of new, smaller rental units. Current state regulations allow granny flats to be up to 1,200 square feet in size. They can be attached to, or built separate from, full-sized homes on the same parcel. They can include kitchens, bathrooms, living areas and private entrances. They cannot be sold as individual homes, but they can be rented out by homeowners or used to provide additional living space for family members, friends, students, the elderly, the disabled or in-home health care providers. Properties must meet all zoning requirements, such as setbacks that meet fire safety and building codes. Speaking at the recent La Mesa City Council meeting on behalf of PSAR were Robert Calloway, 2019 PSAR President, Rebecca Pollack-Rude, co-chair of the PSAR Governmental Affairs Committee and Tracy Morgan Hollingworth, PSAR’s Government Affairs Director. Before a packed Council chamber, the La Mesa Council members were considering changes to simplify their secondary unit ordinance. -- Allow ADUs to be built on any property with an existing single-family home or where a single-family home is permitted to be built. -- Allow ADUs on properties with existing duplexes. -- Preserve historical resources by requiring ADUs to be behind any historic properties. -- Allow ADUs to be up to 1,200 square feet, regardless of the size of the primary. -- No requirements to record covenants on property associated with ADUs. -- No expensive dedication of right of way improvements for properties investing in ADUs. -- Streamlined ministerial approval, including in overlays areas that usually require discretionary review. Robert, Rebecca and Tracy told La Mesa City Council members that ADU development will encourage property owners who want to better utilize their homes in order to provide living quarters to students, seniors and others on fixed incomes who want a decent place to live. La Mesa’s new set of regulations for granny flats will, in some cases, make the city’s rules more lenient than state requirements. A second reading for La Mesa’s ordinance will be heard March 5 before the new rules will take effect 30 days later. A second victory this past week occurred at the February 27th Board of Supervisors meeting. The Supervisors were considering similar changes to conform to the state law in order to pave the way for more ADUs. The Board was considering a requirement for their ADU code to require owner occupancy for one of the buildings on a lot, which PSAR was recommending against. Fortunately, the good news is that the Supervisors decided to remove the owner-occupancy requirement following testimony from PSAR’s Tracy Morgan Hollingworth. Tracy said both La Mesa and County officials were grateful for PSAR’s assistance and guidance on their ADU policy decisions. In both instances, it was a victory to provide more housing at what could be an affordable price and provide seniors and families additional income to make ends meet from ADU unit rentals. PSAR will work with both La Mesa and the County to help homeowners know how to process ADU units in local workshops so homeowners can bring their ideas to local government officials and see if their property can accommodate a new ADU. “There is not much build-able land in La Mesa and ADUs are a good fit to help the housing crisis and keep San Diegans in San Diego and not moving out of the state,” said Rebecca Pollack-Rude, co-chair, Governmental Affairs Committee. PSAR members also have worked closely with the City of Chula Vista to reduce ADU fees and streamline their regulations. In January 2019, the County Board of Supervisors voted to waive fees for homeowners building accessory units on their property. Last May, the City of San Diego voted unanimously to slash ADU granny flat building fees by more than 60 percent. 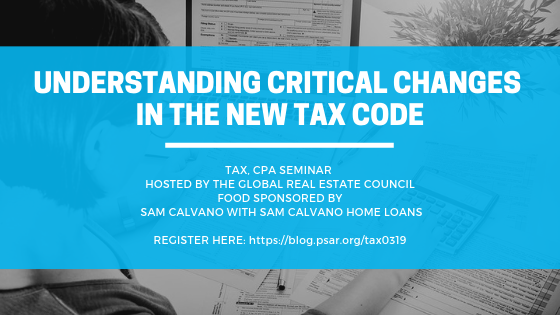 PSAR's Global Real Estate Council will be hosting a seminar reviewing the changes to the tax code covering How 2019 Changes will affect 2020 Taxes, Changes to the Standard Deduction, Tax-deferred exchanges, Phaseout of Child Tax Credit, Prop 60 and 90, and more. This seminar will be instructed by Marizel Secuya-De Castro, CMA, CPA and Jordan Z. Marks, Esq, Assessor/Recorder/County Clerk. It will be held on Tuesday, March 26th from 10:15 AM - 11:30 AM at our Central Service Center located at 4340 Genesee Ave. #203, San Diego, 92117. Risk can be expensive for any real estate company. Attend this advisory to learn about issues other Brokers have faced so that you can avoid making the same mistakes. These meetings will be facilitated by Broker, Nikki Coppa. Ms. Coppa currently serves on numerous leadership committees for both the C.A.R and NAR. 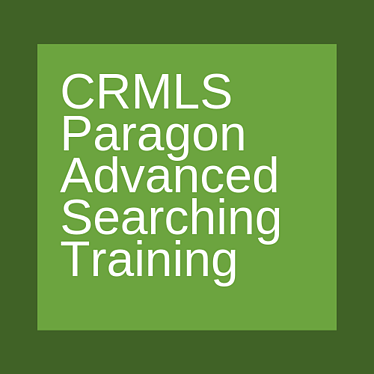 Join us at the PSAR Service Center closest to you for training in Paragon Advanced Searches, Paragon Hotsheets, Tours and Open Houses, Homesnap Pro App and InfoSparks Market Statistics! Register for various classes below. Learn how to create enhanced search templates and set them as your default, and how to search by features, map, multiple addresses, and key words. 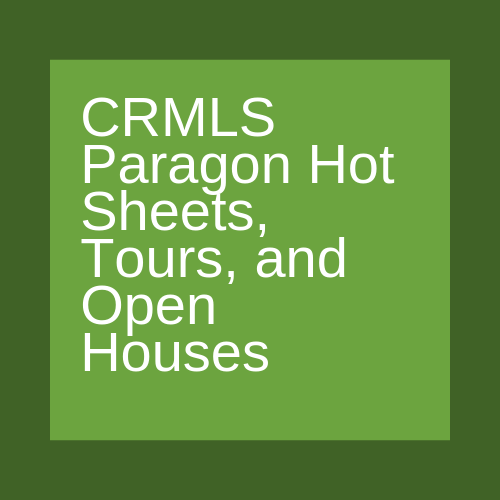 Learn how to build and save your Hotsheets, choose the best report to show the results, how to search for properties on a Broker Tour/Caravan or Open House, and how to add your properties to one or both. Search for listings, generate Rapid CMA reports, communicate with clients and other agents, and photograph homes to learn valuable property data about them. Home Sales in California Fall to Lowest Level in Over 10 years, says C.A.R. 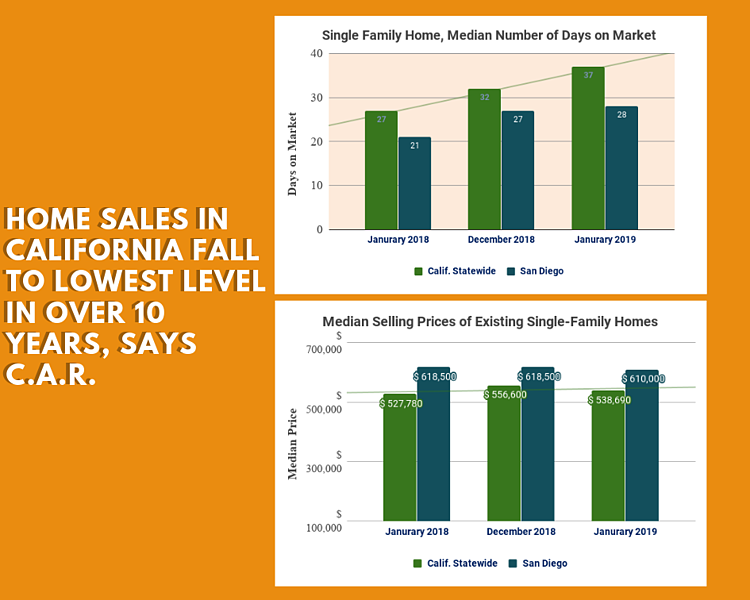 California home sales fell to the lowest level in more than 10 years in January 2019, according to the latest housing market report for home sales and prices from the California Association of REALTORS® (C.A.R). Housing demand in the state remained subdued for the ninth consecutive month in January as economic and market uncertainties sent home sales to their lowest level since April 2008, said C.A.R. Existing, single-family home sales statewide totaled 357,730 in January on a seasonally adjusted annualized rate, down 3.9 percent from the revised 372,260 in December and down 12.6 percent from January 2018 of 409,520. January marked the ninth consecutive month of decline and the sixth month in a row that sales were below 400,000, dipping to the lowest level since April 2008. Sales in San Diego in January 2019 were down 17 percent from December and 10 percent lower from January 2018, according to C.A.R. Closed escrow sales of existing, single-family detached homes in California totaled a seasonally adjusted annualized rate of 357,730 units in January, according to information collected by C.A.R. 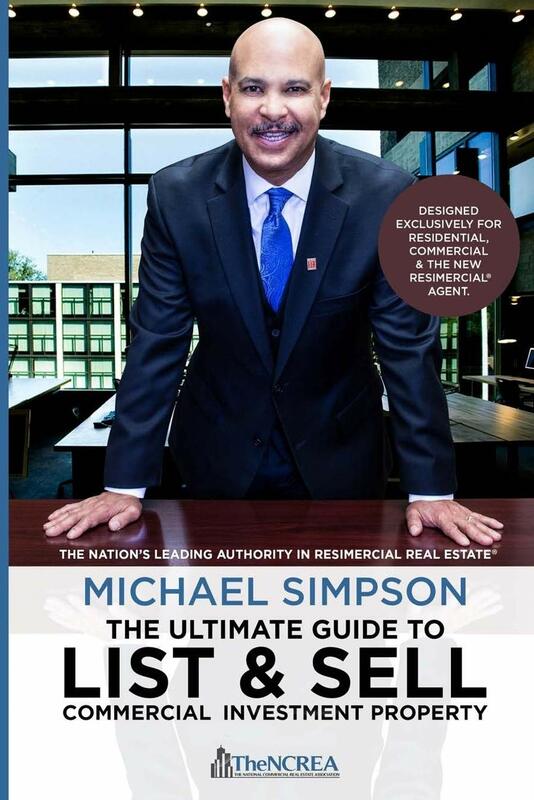 from more than 90 local REALTOR® associations and MLSs statewide. The statewide annualized sales figure represents what would be the total number of homes sold during 2019 if sales maintained the January pace throughout the year. It is adjusted to account for seasonal factors that typically influence home sales. C.A.R. said the statewide median home price declined to $538,690 in January 2019, which was down 3.4 percent from $557,600 in December and up 2.1 percent from a revised $527,780 in January 2018. In San Diego County in January 2019, the median home price was $610,000, which was 1.4 percent lower than the $618,500 figure for December 2018 and 3.4 percent higher than the $590,000 figure for January 2018. -- The median number of days it took to sell a California single-family home rose from 27 days in January 2018 to 37 days in January 2019, compared to 32 days in December 2018. Meanwhile, in San Diego County, the median number of days a home remained unsold on the market rose from 21 days in January 2018 to 28 days in January 2019, compared to 27 days in December 2018. -- Statewide active listings rose for the 10th consecutive month in January after nearly three straight years of declines, increasing 27 percent from the previous year. All major regions recorded an increase in active listings, with the Bay Area posting the highest increase at 57 percent, followed by Southern California (29.7 percent), Central Valley (19.5 percent) and the Central Coast (14.5 percent). -- The Unsold Inventory Index (UII), which is a ratio of inventory over sales, increased year-to-year from 3.6 months in January 2018 to 4.6 months in January 2019. 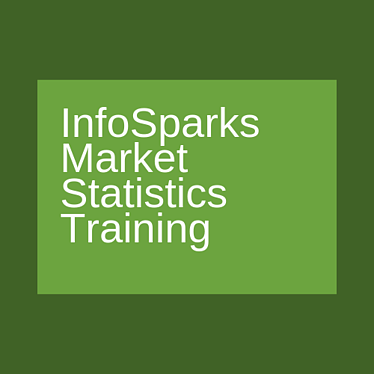 The index measures the number of months it would take to sell the supply of homes on the market at the current sales rate. The jump in the UII from a year ago can be attributed to the double-digit sales decline and the sharp increase in active listings. -- Forty of the 51 counties reported by C.A.R. posted a sales decline in January with an average year-over-year sales decline of nearly 19 percent. Twenty-eight counties declined by double-digits on an annual basis, and 10 counties experienced an increase in sales from a year ago. -- The 30-year, fixed-mortgage interest rate averaged 4.46 percent in January, up from 4.03 percent in January 2018, according to Freddie Mac. The five-year, adjustable mortgage interest rate also increased in January to an average of 3.91 percent from 3.47 from January 2018. -- A new LendingTree report found that 63 percent of homebuyers in San Diego County last year shopped around for a mortgage before settling on a home. The report also found that just 39 percent of the buyers had good or excellent credit, and the typical down payment was 12 percent of the purchase price. LendingTree ranked the 50 largest metropolitan areas in the U.S. based on an average of the city’s rank in three categories that contribute to the competitiveness of homebuyers in an area. Based on shopping for a mortgage, credit and the down payment percentage, Denver, Los Angeles, and Portland, Ore., have the most competitive buyers in the country. Buyers in these areas have higher than average credit scores and the ability to put down a larger down payment. -- San Diego's Real Housing Price Index declined at the fifth fastest rate nationwide in November 2018 at 0.1 percent, according to First American Financial Corp. While the decline may seem marginal, the rate of that drop was exceeded only by San Jose (with a 0.7 percent decline), Boston (0.4 percent), Portland, Ore. (0.2 percent) and Pittsburgh (0.2 percent). Seattle tied San Diego with a 0.1 percent decline. -- According to S&P CoreLogic Case-Shiller, San Diego’s home prices rose 3.32 percent in 2018, the third slowest of the 20 cities covered by the index. National home prices were up 5.2 percent in a year, with Las Vegas leading the pack with a 12 percent gain. -- According to a Zillow report, San Diego County experienced the third-highest year-over-year jump in housing inventory in the U.S. in January. Zillow said San Diego saw its year-over-year “for sale” inventory climb 31.9 percent in January to 9,810 units. Inventory has increased the most in five West Coast markets, giving home shoppers more options and ever-so-slowly tilting the market toward buyers, Zillow said. On an annual basis, inventory grew 42.9 percent in San Jose, 36.9 percent in Seattle, 29.1 percent in Los Angeles and 25 percent in San Francisco. -- Also according to Zillow, a declining percentage of existing homes have been selling above the asking price nationally and San Diego County is no exception. Zillow found that just 17.4 percent of existing homes in San Diego County sold above their asking price in November 2018, and just 16.4 percent sold above their asking price in December 2018. An average of 29.9 percent of existing homes sold above their asking price in San Diego County in 2017, while that number dropped to 25.7 percent in 2018, Zillow said. -- According to Redfin, San Diego County was the third least affordable housing market in the U.S. for millennials in 2018. While the median household income for a San Diego millennial was $78,433, the median priced home was only affordable to 24.3 percent of those households, Redfin found. -- Also according to Redfin, home affordability is declining in San Diego despite more inventory. Redfin reported there were 10 percent more homes for sale in San Diego County in 2018 compared to 2017, but the number of affordable homes for sale fell 16 percent. The number of homes affordable to a San Diego household earning the median income in 2018 dropped to 22 percent. Redfin also said more users conducted online searches for San Diego homes than searches by local residents for homes outside the county in 2018. -- Quinnipiac University's recent California-specific poll, conducted Jan. 30 to Feb. 4, recently found that 43 percent of the 912 Californians surveyed said they don’t make enough money to live in the state. Also, Quinnipiac found that well over half of younger California voters, 61 percent of the respondents 18 to 34 years old, say they can’t afford to live in the Golden State. -- The U.S. unemployment rate has dropped to 3.7 percent, the lowest in nearly 50 years, according to the Bureau of Labor Statistics. Also, average earnings rose 8 cents, to $27.24 per hour in September 2018. More home buyers are demanding green and energy-saving features in their next homes. Are you prepared to assist them? Gain a competitive advantage and learn how to become your clients’ go-to resource for buying or selling a more efficient, money-saving, healthy home. A two-day course in San Diego on March 6th and 7th at the SDG&E Innovation Center. Upon completion of the two required courses, you will have achieved GREEN candidate status, a one-year period during which you must fulfill the educational and experiential requirements to earn NAR's Green Designation awarded by the Green REsource Council. Thanks to the generous support of San Diego Gas & Electric® there is no registration fee for this training. Attendance - Participants must attend all two (2) training days. 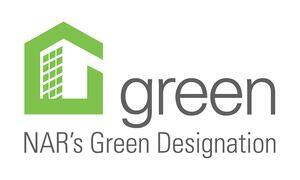 Submit a member application for NAR's Green Designation.